Choose aluminium window and door frame systems from EDGE Architectural and enjoy more benefits and advantages. We scoped out U-MAX™ thermally broken window systems, MAX™ and GEN™ to incorporate the best feature set from what had been designed and tested, and added features specifically to accommodate the different Australian markets. The principles behind EDGE Architectural’s systems places emphasis on offering more efficient ways to fabricate, install and glaze products to increase quality control, cost control and productivity. To build to your standards, you need options. EDGE Architectural aluminium window and door frames deliver options thanks to the intense development of a tightly integrated range of products based around a common feature set. The MAX double glazed systems and U-MAX thermally broken systems offer flexibility to mix, match and marry frames to meet your needs. Our integration across single glazed, double glazed and thermally broken frames is amazing. Bring us your required energy rating and we’ll help you determine whether the product needs to be thermally broken or not and single or double glazed. We can do this because our Pour & Debridge thermal break process allows us to offer the same product in broken or non-broken form. Energy efficient aluminium window systems: Leave your signature, not your footprint. 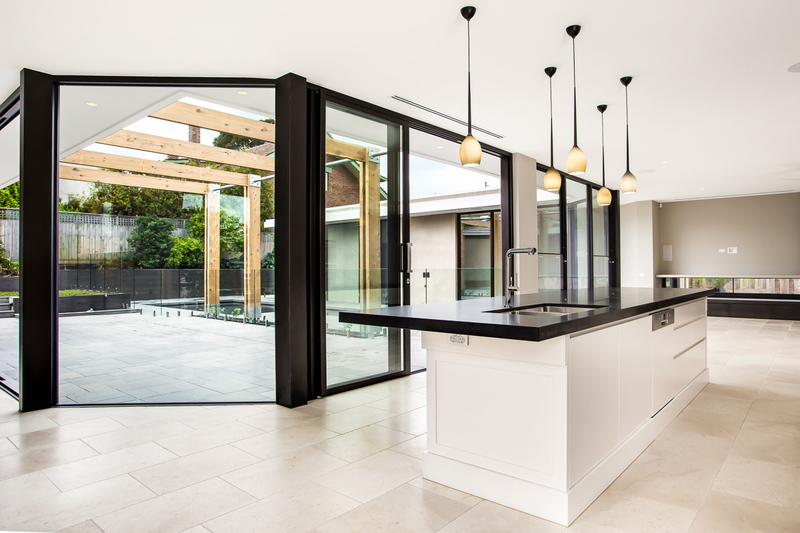 EDGE Architectural combines the benefits of design freedom with high standards of energy efficiency in aluminium window and door framing systems. We all want to reduce our impact on the environment and to decrease our energy consumption. Building owners and managers are concerned with energy costs, while occupants expect comfortable indoor temperatures. Australians seek structures that facilitate living and structures that are built for life. The design intent, the research and development behind EDGE is to accommodate this thinking. Features like thermal break and double glazing offer excellent insulation for commercial architectural frames. In addition to direct efficiency gained from better insulating features, the EDGE ranges also reduce condensation on window frames, reduce spots of radiated cold in a room and increase overall room comfort and space liveability. U-MAX, our thermally broken suite, offers high energy ratings within a comprehensive range of architectural framing systems. Changing from double glazed to thermally broken gives approximately a 15 per cent improvement in the U value. MAX, our double glazed suite, complements U-MAX. You choose the best option for the specific application, yet maintain visual unity between the thermal and non-thermal façade appearance. U-MAX and MAX give you the benefits of freedom and flexibility in an elegant, energy efficient solution. Bring our consulting team, Ai design, your energy requirements and we can help you engineer the system solution that delivers that rating. The shared frame depths of our systems means we can incorporate U-MAX, MAX and GEN across facades and achieve the desired energy rating for each different façade. Australia’s commercial building evolved with Section J; EDGE Architectural evolved, too. During the initial development of EDGE, energy ratings for housing were becoming more stringent, going to 5 Star ratings for homes. Section J was actually written into the BCA in 2006, but really took effect in late 2011/early 2012. Energy ratings became mandatory requirements for all buildings to meet. 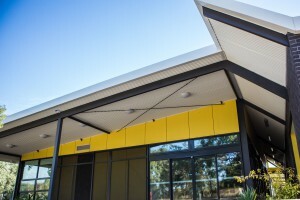 The new Australian building codes have provided many challenges for building and more so, façade designers. In many cases high performance glass alone will not be sufficient to achieve required performance results. That is up until the release of U-MAX. U-MAX will provide better Uw results over traditional framing systems. With every project, every building, you cement your reputation. Break up facades. Introduce new elements. Create an impression. Leave your signature. And do it all with the EDGE super suite. Picture the breadth of what you can do by changing front or centre glazing and the ability to swap around the different glass planes. Or imagine the play found in transitioning between thermally broken and non-thermally broken frames without a deviation to the eye or a departure from your vision. The magnitude of what can be done with the EDGE super suite will delight you. The comprehensiveness of the EDGE Architectural window frame ranges gives you complete design freedom. Adaptability is the key to commercial systems. EDGE gives unprecedented flexibility for designers and fabricators. U-MAX and MAX were developed and tested for strength, reliability, longevity and energy efficiency, but also for their elegance and aesthetic. Front, centre and offset glazed systems can be reversed and combined to change the glass plane. Interchange MAX, double glazed systems, and U-MAX, thermally broken systems, to maintain visual unity and achieve desired energy ratings around the structure. You’ll benefit from the beauty of their beauty and the freedom of their frames. Free your design and the rest will follow. Visual unity is the result of bringing elements together in appropriate ratios to create a sense of oneness. Finding that sense of oneness and harmony with the features of U-MAX and MAX stayed front of mind for our team as they designed for energy efficiency, strength and performance. Thanks to our neurotic natures and nights spent fretting over every detail of our new aluminium window and door systems, you can take your project to the EDGE and set your sights on our common sight lines. We focused on the details, you enjoy the view. 44mm, 60mm frame face dimensions in 100mm and 150mm frame depths. 50mm face dimension on MAX versions of pocketed systems. The 100 Centre Glaze and 150 Offset are externally identical. 100 Front Glaze and 150 Front Glaze are externally identical. Products allow for mix and match use of suites across the façade without any difference externally. The sublime is found in realizing the special requirements and fine points each commercial construction project presents. However, navigating these details can be a time consuming challenge for specifiers and fabricators. We can help. Partner with EDGE Architectural and consult with one of our designers to save time and trouble. EDGE Architectural’s team developed the U-MAX™ and MAX™ ranges. All the intellectual property sits with us. We live the principles. We understand the performance benefits. We put principle and performance into action for results. Our consultancy service, EDGE Consult, focuses on helping you achieve variations, specific energy values and a signature result. The EDGE Architectural philosophy is to offer creative, streamlined and efficient solutions, without compromise. Our unwillingness to compromise ensures everything that leaves our factory meets our highest standards of quality control. Let us take away your worries. Our architectural frames will always be beautiful in form and reliable in function. Our exacting standards of quality control assure the preservation of visual unity and common sightlines through the interconnected nature U-MAX and MAX suites. The finished project communicates your vision; people see the whole, not the individual elements. In creating the U-MAX and MAX suites, the EDGE Research & Development team considered every component of architectural window and door frames and their accompanying elements. They chose partner suppliers who met our demanding criteria and produced what we call the EDGE Ecosystem. You get the benefits of strength, aesthetics and much, much more. The EDGE Ecosystem means a local team of experts is standing with you. It’s a completely controlled process as an Australian product. Emphasis was also placed on looking for more efficient ways to fabricate, install and glaze products. By keeping more of the fabrication process in the factory, the environment is better controlled and higher quality results. Let go and let us. Partner with EDGE Architectural and save money through increased energy efficiency, quality control, ease of fabrication, integration of systems and streamlining of process management. Poor performing framing systems have led to windows and doors being considered a “thermal wound” buildings’ efforts to achieve greater energy smart performance. We believe systems strategically engineered for smart energy performance challenge this perception. Energy efficiency is gained when moving from single to double glazed systems, and more energy performance from traditional frames to thermally broken frames. By integrating U-MAX, MAX and GEN with energy efficient glass, projects deliver energy savings for the life of the building. The goal to create ranges offering improved practices in fabrication, assembly in glazing served as a major driver in the development of the EDGE systems. In achieving this goal, the systems save money and increase quality control by decreasing the need for onsite work. EDGE Architectural reduces your labour cost by doing the work for you. Our glazing methodology, drainage principle and system integration streamline fabrication and allow for more work to benefit from the controlled factory environment. The integration across single glazed, double glazed and thermally broken systems is amazing. And delivers amazing, cost saving benefits. Architects and designers don’t have to change products around the façade. Instead, you can mix, match and marry our systems. As an EDGE customer, you can consult with our design team, Ai design, to determine which system will deliver the required energy efficient ratings on each different façade. You’ll enjoy significant time savings from our comprehensive online management tool, EdgePoint. Through the EdgePoint platform, you can view our catalogue (including pictures and schematics of every component in all of our ranges), print images, create and print wall charts, place orders and track order progress, in real time. Our online ordering system is a convenient, safe and smarter solution towards improving business efficiency. EdgePoint streamlines your order process and offers you the benefits of a real-time tracking process and management information. EdgePoint puts it all at your fingertips. EDGE Architectural Glazing systems offers a complete range of products with true metric footprints scoped from thermally broken to double glazed and back into single glazed. The first aluminium window and door systems were introduced to the Australian market in 1961-62 from the US. Those products featured imperial dimensions. The market has largely retained these dimensions, despite Australia going metric in 1966. We could choose between developing the EDGE ranges based on 50 year old concepts or designing a new, fully integrated range based on current best practices for the betterment of fabricators, the industry and the end user. We chose the latter. Our metric footprint makes EDGE Architectural Systems better by units of 10. The U-MAX, MAX and GEN aluminium window and door systems, including commercial and sliding door systems, all maintain a full metric footprint. Incorporating frame and track systems, the ranges are tightly integrated and feature subsill options designed to suit them. The EDGE ranges weren’t limited to the legacy of past systems. This innovative thinking and fresh design allows for visual unity, design freedom and interchangability of U-MAX, MAX and GEN frames across a façade. A major advantage of aluminium windows is the strength of the metal. Aluminium window frame systems are strong, lightweight and easy to maintain, making them an ideal choice for commercial construction since the 1960s. 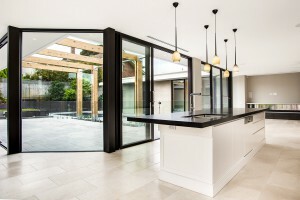 EDGE Architectural builds on this foundation of strength and re-imagines aluminium window and door frames for high standards in building today, and into the future. Thermal break using Pour & Debridge (P&D) technology allows similar structural values as traditional unbroken systems (about 7 per cent of the original metal). This means strength can be maintained across the façade, alternating between broken and unbroken suites, without having to increase frame depth. Other thermal break technologies require deeper framing systems to compensate for lost strength. Deeper framing systems have poorer energy ratings due to Solar Heat Gain Co-efficiency. By choosing P&D, benefits are found in cost savings and energy efficiency. The EDGE design features a frame assembly screw flute in front of the glazing pocket. We engineered this to deliver less stress on the joint, improved structural performance and ensured water tightness. It provides the best method of dealing with torsional forces under wind load and supporting large weights of glass on transoms. The glazing pocket is set at the perfect distance to get the best strength, minimize tilt, support the load and drain water. No other Front Glazed system supports transoms as well as this. Your designs can have it all: form and function, style and strength, energy efficiency and aesthetic freedom. We can show you how. In designing U-MAX, MAX and GEN, the EDGE team broke free from 50 years of tradition in Australia’s aluminium framing systems industry. Every feature, facet and function was challenged for the performance benefits it would bring to the suites. As a result, the EDGE ranges offer benefits far beyond expectations. With versatility and consistency driving its design, EDGE offers a complete, energy efficient range of products. We took a holistic approach towards development. It’s not a frame or even a window; it’s a system with unique DNA and an ecosystem innovators supporting it. We subjected every feature to brutal scrutiny to ensure each part contributed to the whole. Specify your next project with U-MAX and MAX and find real performance behind the promises. EDGE Architectural give you the features and benefits needed to create a beautiful handshake for your projects with the end user to and long into the future. Sensory experiences comprise a person’s impression of a structure. The light, the air, gazing out a window, opening a door, drawing the world in, keeping the world out; people judge a building by how it makes them feel. Ensure people experience your projects as you intend. The MAX and U-MAX double glazed suites complement one another, allowing you to achieve your sought form and function.